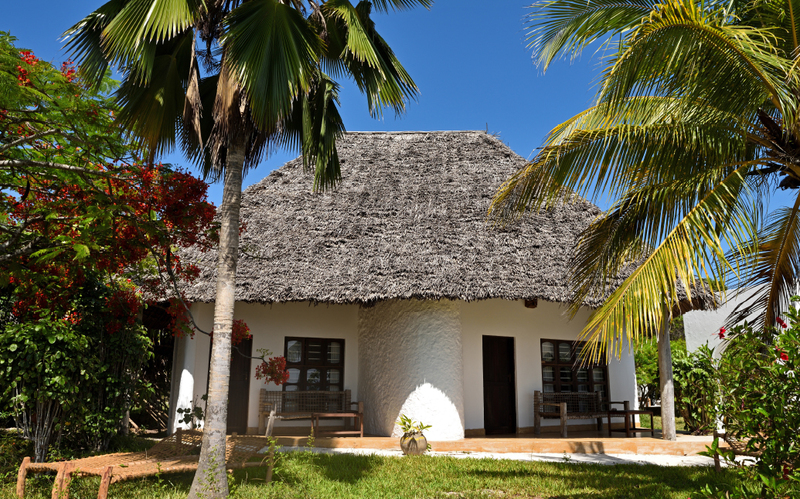 Our 11 sea view cottages are spacious en-suite rooms, built in keeping with traditional Zanzibari styles of architecture with airy, wood-beamed ceilings, large windows, ceiling fans and air conditioning. 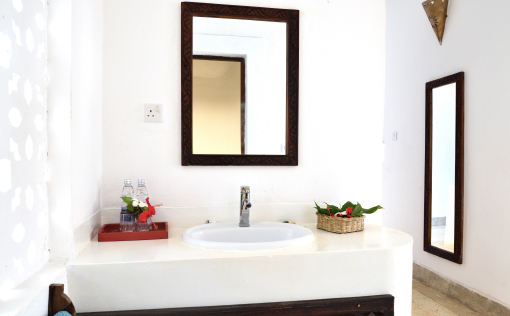 with coconut wood wall mirrors and other hand-made teak wood furniture. Every cottage has its own private veranda. 4 of our sea view cottages are set out on two levels and are ideal for families. up to one more bedroom on the first floor with the option of selecting a double bed or two single twin beds. Bathroom- and toilet facilities are to be shared with the downstairs room. 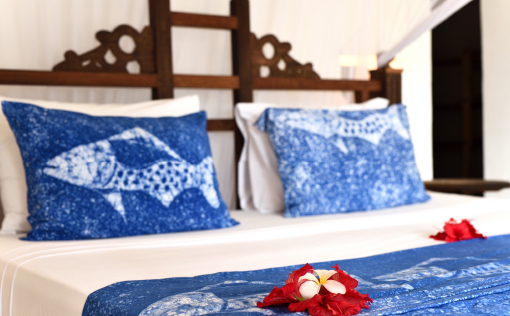 2 sea view cottages are interconnected and can easily be allocated to families.